Mikael Blomkvist spent his national-service time as a rifleman in Kiruna, Sweden's northernmost city. It is an area of the country rich in iron ore.
During World War II, Sweden was able to remain neutral based, at least in part, on its export of iron ore to Germany. Much of that raw material came from the Kiruna mines, in Norrbotten County. Because it is so far north, Kiruna - which is covered in snow during winter - is close to Sweden's borders with both Norway and Finland. In 2008, its population was 23,099. 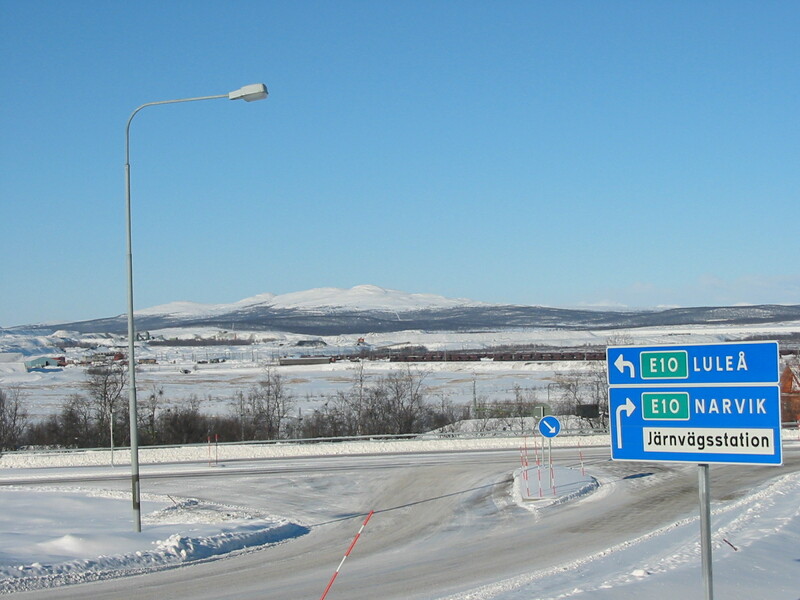 Photo of Central Kiruna - seen from Luossavaara (a nearby mountain) - was taken on July 18, 2006 by Johan Arvelius. Online, courtesy Wikimedia Commons. Bos, Carole "Mikael Blomkvist in Kiruna" AwesomeStories.com. Oct 07, 2013. Apr 20, 2019.